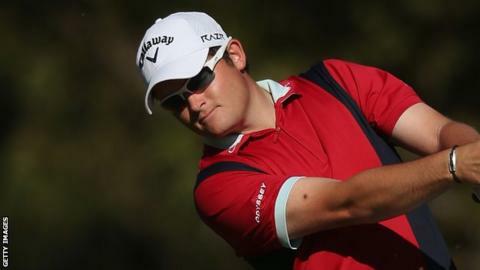 Golfer Gary Boyd believes he needs a top-10 finish in either Hong Kong or Singapore to keep his European Tour card for next season. Silverstone-based Boyd, 26, is ranked 122nd but has to come in the top 115 to secure a fourth year on the Tour. Boyd told BBC Radio Northampton: "I need a top-10 finish to make sure I've got my playing rights for next season. "The first two years were good, especially finishing 50th in 2010, but I've not progressed from there." Boyd has been a runner-up at both the Czech and Italian Open tournaments in the last three years, with seven top-10 finishes, but his only stand-out performance this season was fifth place in Roveri, Italy. "I know my game's there but silly mistakes, like too many double and triple bogeys, makes a massive difference," he said. "It's my mental side I need to work on a little bit, maybe. "If I don't make the top 115, it's back to Tour School to try to qualify for next season. "And if I can't, I go back to the Challenge Tour - and if I then won in South Africa in December, I'd be in a better situation than I was at the start of this year."